It is a private jet rave for Wizkid and Davido. 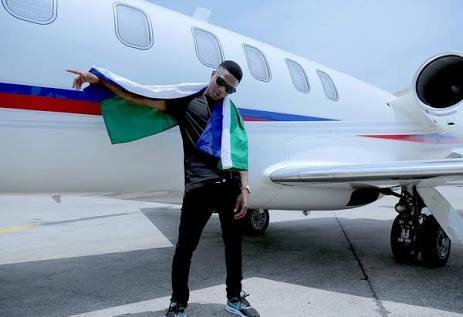 Nigerian music sensation, who is accepted all over Africa and the world, Wizkid, recently had a show in the Beninese capital, Cotonou, in grande style. The singer, like his new best friend, Davido, boarded a private jet to the West African country. He took to his Instagram page to share pictures and videos from his trip. Some people are however, of the opinion that he chattered the jet. The ownership of the jet is still unknown, as the singer didn’t say a thing about it.